Examining the Roman institution of slavery, Spartacus and the Slave Wars looks at recent historical work and past depictions of Spartacus in television and film in order to help make ancient testimony relating to this time period accessible to students today. 1. Columella, Agricultural Slaves, and the Slave Barracks, First Century C.E. 2. Cato the Elder, The Vilicus: The Slave Farm Manager and His Duties, Second Century B.C.E. 3. Columella, How to Choose a Vilicus, First Century C.E. 4. Graffiti on Pompeii's Walls: Gladiators and Gladiatorial Games, First Century C.E. 5. Sallust, Gladiators as Dangerous Men: The Crisis of 63 B.C.E. 6. Cicero, Gladiators as Dangerous Men: The Crisis of 49 B.C.E. 7. Julius Caesar, Gladiators as Dangerous Men: The Crisis of 49 B.C.E. 8. Tacitus, Gladiators as Participants in War and Rebellion, Second Century C.E. 9. Seneca, Individual Gladiators Resist Their Fate, First Century C.E. 10. Ulpian, The Legal Definition of a Fugitive Slave, Third Century C.E. 11. Ulpian, The Law concerning Fugitive Slaves, Third Century C.E. 13. A Declaration concerning a Runaway Slave, Egypt, August 13, 156 B.C.E. 16. Authorization for the Arrest of a Fugitive Slave, Oxyrhynchus, Egypt, Fourth Century C.E. 17. A Roman Praetor in Sicily Hunts Down Runaway Slaves, 131-130 B.C.E. 18. Cicero, Free Communities in Cicilia Harbor Runaway Slaves, 51-50 B.C.E. 19. Athenaenus, Drimakos: The Fugitive Slave Bandit King, Second Century C.E. 20. Cassius Dio, Bulla Felix: The Bandit King, Third Century C.E. 21. Livy, Slave Rebellions at Setia and Praeneste in 198 B.C.E., First Century B.C.E. 22. Livy, A Slave Rebellion in Etruria Is Suppressed in 196 B.C.E., First Century B.C.E. 23. Livy, Actions of Roman Praetors in Bruttium and Apulia in 190 B.C.E., First Century B.C.E. 24. Livy, Roman Praetors in Bruttium and Apulia in 189 B.C.E., First Century B.C.E. 25. Livy, Roman Praetors in Bruttium and Apulia in 188 B.C.E., First Century B.C.E. 26. Livy, The Bacchanalian Conspiracy at Rome in 186 B.C.E., First Century B.C.E. 27. Measures Decreed by the Roman Senate concerning the Bacchanals, 186 B.C.E. 28. Livy, A Slave Uprising in Apulia in 185 B.C.E., First Century B.C.E. 29. Livy, The Repression of Slave Shepherds and the Bacchanals in Southern Italy in 184 B.C.E., First Century B.C.E. 30. Livy, The Continued Repression of Slave Shepherds and the Bacchanals in Southern Italy in 182 B.C.E., First Century B.C.E. 5. The First Sicilian Slave War, 135–132 B.C.E. 31. Diodorus Siculus, The First Slave War on the Island of Sicily: First Version, First Century B.C.E. 32. Diodorus Siculus, The First Slave War on the Island of Sicily: Second Version, First Century B.C.E. 33. Livy, A Brief Summary of the Main Events of 136–129 B.C.E., First Century B.C.E. 34. Julius Obsequens, The Slave War in Sicily and Contemporary Slave Rebellions in Italy in 134–132 B.C.E., Fifth Century C.E. 36. Posidonius, The Cause of the Slave War, First Century B.C.E. 37. Appian, The Tribune of the Plebs on the Dangers Posed by the Slave War in Sicily, Second Century C.E. 38. Cicero, The Behavior of the Rebel Slaves at Enna, First Century B.C.E. 39. Strabo, The Devastation of Sicily, First Century C.E. 40. Florus, The Extent of Devastation on Sicily Caused by the Slaves, Second Century C.E. 41. Valerius Maximus, Stories of Bravery and Cowardice of Romans and Slaves in the War, First Century C.E. 42. Slingshot Ammunition Used by Roman Soldiers, 133 B.C.E. 6. The Second Sicilian Slave War, 104–100 B.C.E. 43. Diodorus Siculus, Events that Portended the Second Great Slave War: The Rebellion of Titus Vettius, First Century B.C.E. 44. Diodorus Siculus, The Second Slave War on the Island of Sicily: First Version, First Century B.C.E. 45. Diodorus Siculus, The Second Slave War on the Island of Sicily: Second Version, First Century B.C.E. 46. Athenaeus, The Second Slave War on the Island of Sicily and the Contemporary Slave Rebellion at Athens, Second Century C.E. 47. Cassius Dio, The Actions of the Roman Governor of Sicily, Publius Licinius Nerva, in 104 B.C.E., Third Century C.E. 48. Florus, Athenion as Leader of the Second Slave War, Second Century C.E. 49. Cassius Dio, Athenion's Attack on the City of Messana, Third Century C.E. 50. Cicero, Athenion as a Model of Evil Power, First Century B.C.E. 51. Cicero, The Destruction of Sicily Caused by the Slaves, First Century B.C.E. 52. Cicero, Aquillius Is Compelled to Dispense Aid to Sicilian Cities, First Century B.C.E. 53. Cicero, The Romans Reward Aquillius for Ending the Slave War, First Century B.C.E. 54. Cicero, Roman Governors of Sicily Take Measures to Prevent Recurrence of Slave Uprisings, First Century B.C.E. 55. Slingshot Ammunition Used by the Slaves and Greek Allies of the Romans, ca. 104-100 B.C.E. 7. The Spartacus Slave War, 73-71 B.C.E. 56. Plutarch, The Spartacus Slave War, Second Century C.E. 57. Plutarch, Pompey the Great's Involvement in the Repression of Spartacus, Second Century C.E. 58. Plutarch, Marcus Crassus and the Final Defeat of Spartacus, Second Century C.E. 59. Plutarch, Cato the Younger in the Spartacus War, Second Century C.E. 60. Appian, The Spartacus Slave War, Second Century C.E. 61. Appian, King Mithradates of Pontus and Spartacus, Second Century C.E. 62. Sallust, The Spartacus War, First Century B.C.E. 63. Livy, A Brief Account of the Beginning of the War in 73 B.C.E., First Century B.C.E. 70. 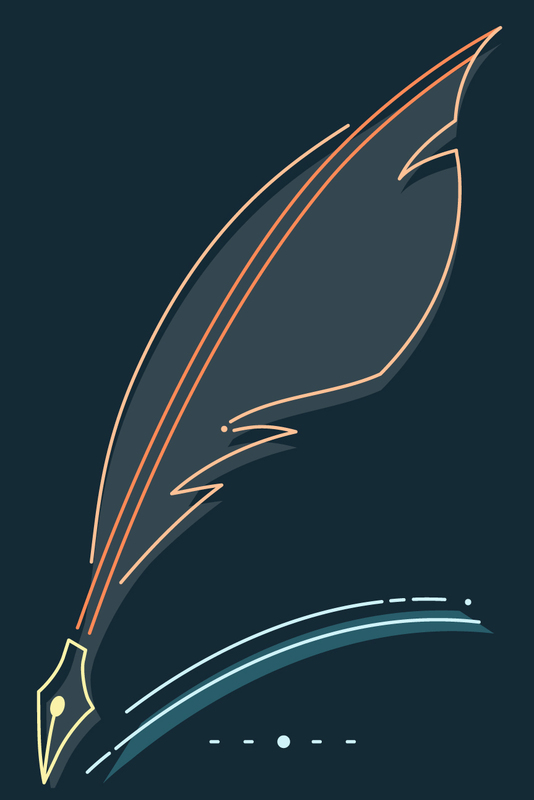 Livy, A Brief Account of the Events of 73-72 B.C.E., First Century B.C.E. 71. Livy, A Brief Account of the End of the War in 71 B.C.E., First Century B.C.E. 72. Orosius, An Account of the Opening and Closing Phases of the War, Fifth Century C.E. 73. Velleius Paterculus, A Brief Synopsis of the Spartacus War, First Century C.E. 74. Florus, A Detailed Synopsis of the Spartacus War, Second Century C.E. 75. Athenaeus, A Brief Synopsis of the Spartacus War, Second Century C.E. 76. Varro, Spartacus Becomes a Gladiator, First Century B.C.E. 77. Diodorus Siculus, Spartacus as a Good Man, First Century B.C.E. 78. Frontius, Strategems Used by Spartacus against the Romans, First Century C.E. 79. Cicero, Roman Governor Verres Faces the Threat Posed by Spartacus, First Century B.C.E. 80. Cicero, Verres Represses Slave Conspiracies on Sicily, First Century B.C.E. 81. Aulus Gellius, Marcus Crassus Celebrates His Victory over Spartacus, Second Century C.E. 82. Suetonius, Operations against Remnant Rebel Slaves of the Spartacus War in Southern Italy in the Late 60s B.C.E., Second Century C.E. Brent D. Shaw is the Andrew Fleming West professor of Classics at Princeton University. His major recent historical study is *Sacred Violence: African Christians and Sectarian Hatred in the Age of Augustine*. He is the recipient of the Lindback Foundation Award for Distinguished Teaching at the University of Pennsylvania, and has been Commonwealth Scholar at Cambridge University, honorary visiting Fellow at Churchill College, Cambridge, and Goldman Fellow at the Institute for Advanced Study, Princeton. His interests in violence in Roman society, especially in civil conflicts in the later Roman Empire, helped inspire the Bedford/St. 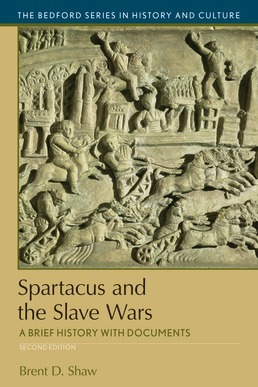 Martin’s volume Spartacus and the Slave Wars (2001).